Winter Season: Two Seatings on Wednesday through Sunday at 5:30pm and 8:30pm. The night begins with cocktails to purchase on the patio before moving inside for a whiskey paired dinner. The Nelson Cottage is a unique restaurant offering a prix fixe dinner served family style. Separate from the High West Saloon, and just two doors up, it is located in a beautifully renovated historic cottage. 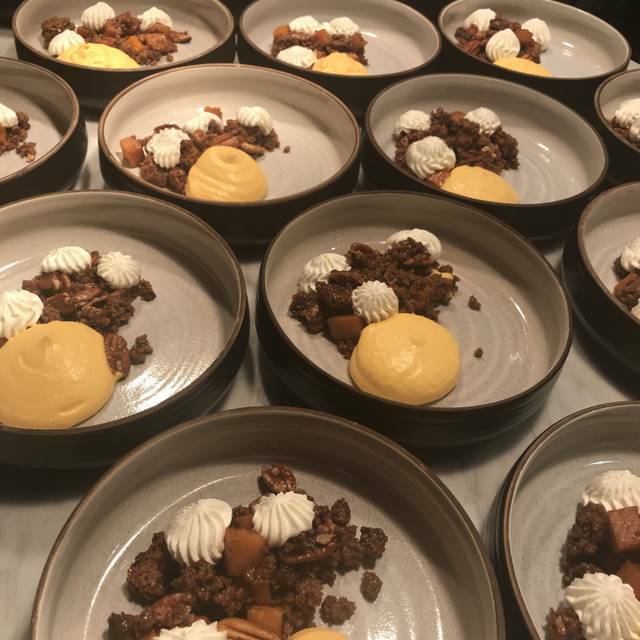 We offer a prix fixe dinner with a menu of the chef’s choosing in a communal dining setting on Wednesday through Sunday evenings throughout the Winter season. Substitutions are politely declined as we offer a set menu only. As our tables seat about 8 guests, for larger groups please give us a call to make a reservation. We will do our best with advance notice of food related allergies, however it may not be possible to accommodate every allergy. A credit card is required to secure all reservations. We have a 24-hour cancellation policy. Any cancellations with less than 24 hours' notice will result in a charge of $85 per guest. This was the best dinner I've ever had in my life (taste, presentation, venue, etc..). What a fantastic experience! 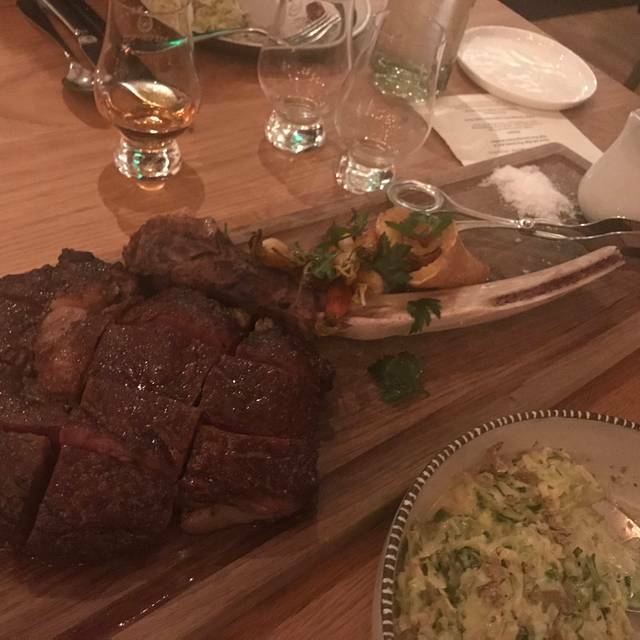 The food was some of the best I have ever had, and the whiskey pairings were fun. The knowledge of everyone involved made for a great night. Great work! Great dining experience! So fun. Entertaining evening with fun and friendly service, delicious food, and fun whiskey pairings. My wife and I had a lot of fun. Best restaurant in Park City. Get the Whiskey Pairing, Terry the Whiskey Som was very knowledgeable. Will go back again. Great experience with group of friends for dinner and drinks! Food was excellent. Great meeting the chef and the staff was friendly and attentive. It was rather noisy due to acoustics of the cottage (a lot of wood all around and floor). Overall a great experience and would do it again! Great food. Fun, different experience even for non whiskey drinkers. Fabulous meal, great experience. Definitely have the whiskey pairing. Take the tour when finished,very cool. One of the coolest dining experiences. The whiskey pairings were awesome! Incredible experience. Hard to describe but amazing food and paired with exceptional whisky! Seven courses (literally) with the added whiskey pairings (High West is a boutique distillery). Everything was delicious, and the resident whiskey ambassador provided interesting information about the pairings. The cuisine avoids ingredients that many diners would not like, so a bit middle of the road. Given that the menu is not published, it would be a shame to go and have dishes that were disliked - so a good approach all in all. Everything was meticulously prepared and delicious. Mostly family style service, but plenty to go around. Fun to sit and dine with strangers who share love of food and riding the mountain. Be prepared to spend a lot of money (a bit too much IMHO). Reserve well in advance because they fill up quickly. Amazing experience. Love the history of the home and owners, the whiskey cocktails and descriptions mixed with the pairing of outstanding food was incredible. The chef's were approachable as well and very kind. Loved everything about this. They even accomodated a large group at the last minute! 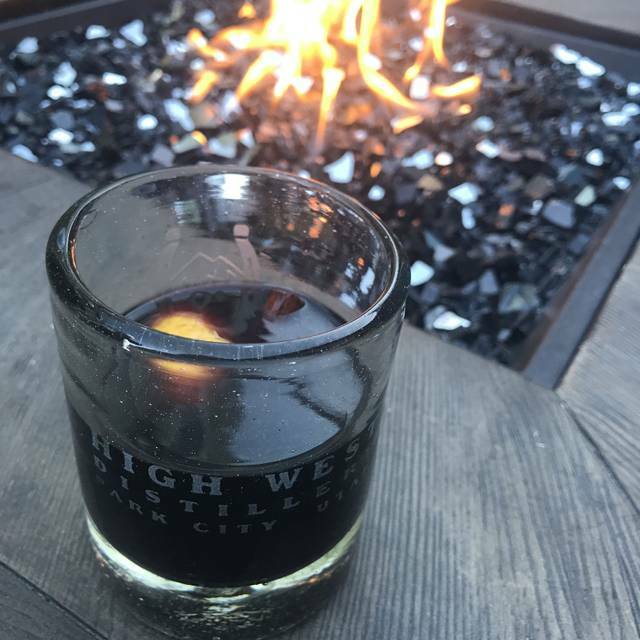 thanks for a wonderful last night in Park City! A truly unique dining experience in a charming setting. Family-style prix fixe menu with each course outdoing the next. The chef personally explains his menu to the guests. The highlight of the evening is the whisky sommelier who pairs High West’s array of different offerings with meal courses. Learn everything you wanted to know about whisky and how to best appreciate it. 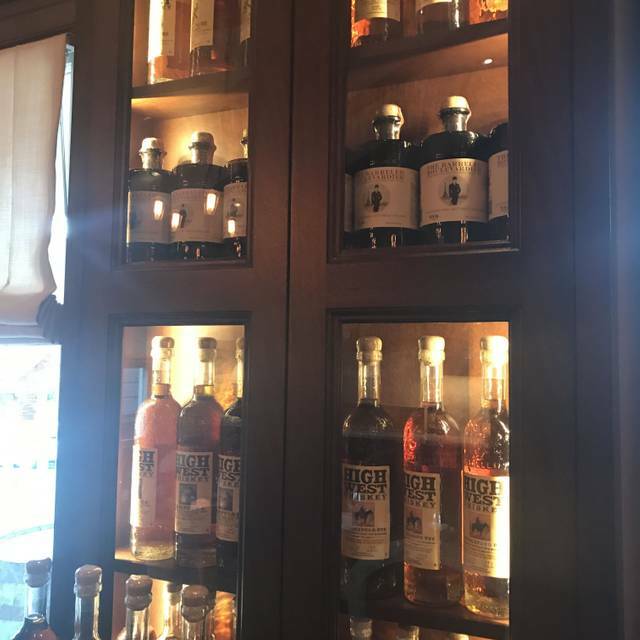 It’s well worth taking the optional after dinner tour of the nearby High West distilling room. The meal and atmosphere were amazing. Great experience. Incredible food, enjoyed the family style atmosphere. Great service and staff. Food was great. Special dinner with whiskey pairings. Everything about Nelson Cottage was excellent. Will be back with other friends in future visits. Unbelievable experience. Terry our host was absolutely amazing. His tour of the distillery was out of this world. Couldn't have asked for a better evening. We had an amazing time!! Our host, servers and cooks were great. We went as a couple & had wonderful time meeting new people. Really fun experience! Amazing meal and great experience! Second time there and it did not disappoint!! They made our honeymoon/my birthday dinner so special and unforgettable. Every course and pairing was so thoughtfully prepared and explained. We loved the bonus distillery tour at the end of the meal with our table mates! Great dining and venue. The whiskey pairing with the food is amazing. This is a great place to have a communal dinner. It was my wife and i’s anniversary and it was a great way to spend it over a table with great food. My wife is vegetarian and they had great options that served her as well. And you will love the hospitality of the staff and Terry. Phenomenal presentations of the whiskey. This has all the elements of a potentially great experience....but they need to slow it down....we had an 8:30 reservation which is the last seating of the evening and the entire experience was so rushed. We sat down and within a few minutes got our soup course followed so quickly by our salad course and before salads were even finished the rest of the meal was put down on the table. There was too much food too quickly and we didn't even end up trying it all because by the time we were ready for it, it was cold. 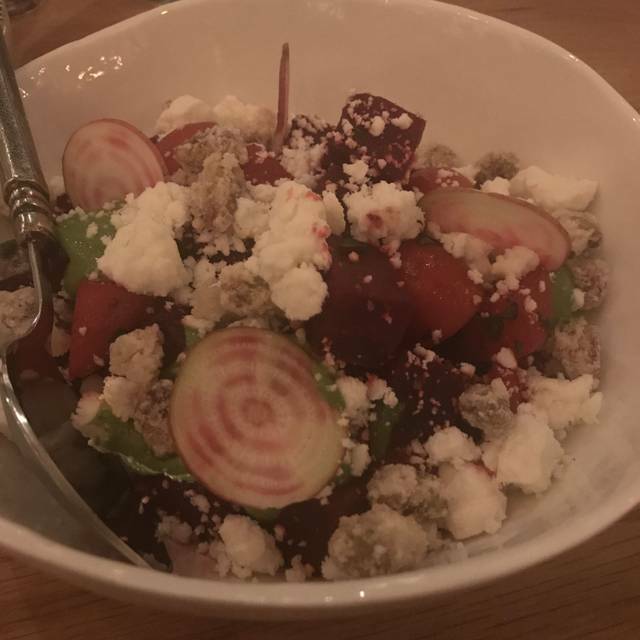 The food was beautiful but the overall experience was flat and very expensive. 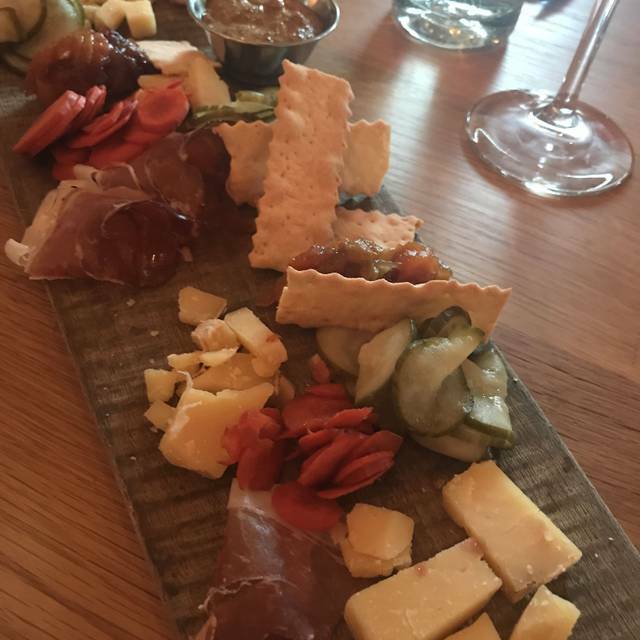 Pricey, but worth it if you're looking for a unique Park City experience. Multiple parties are seated at each table, and the food is served family style, but both the food and the whiskey are excellent. 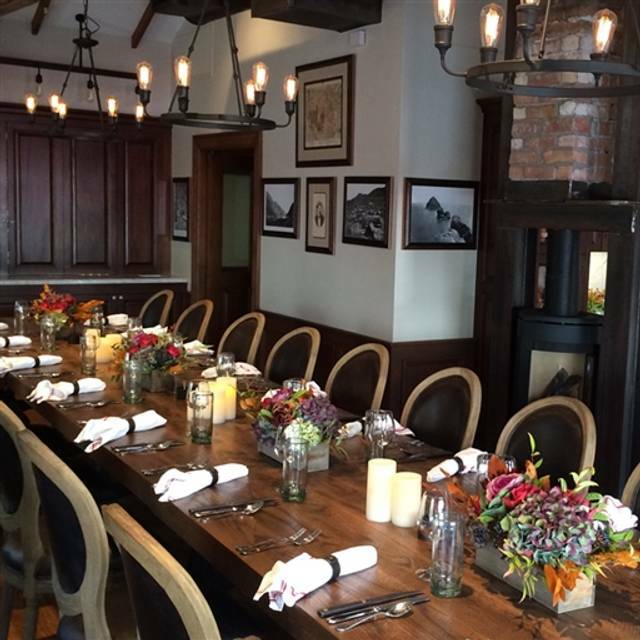 Nelson Cottage is one of our go-to dinners when we have friends in town that are new to Park City! This private dining experience is a delight. The staff is knowledgeable and friendly. The food and whiskeys are delicious. It is expensive, but probably worth it if you appreciate a smaller, more intimate setting with a whiskey tasting. Our dinner at Nelson's Cottage was absolutely one of the best meals we have ever had. We were still talking about it days later. The tasting menu included several courses of delicious and unique offerings, with the option to pair a whisky with some of the courses. Everything was cooked to perfection. The ambiance of the space was warm and inviting. We had to arrive late because of a long drive from Alta and they were so gracious and kind to us. Wonderful experience, a bit pricier than anticipated. Cost will be a factor in how many times we will return. This was a wonderful experience! One seating, prix fixe menu, family-style dining. The food was perfect, and the staff was friendly. Made for a wonderful night. The cottage was a nice setting in a restored old house. The food and whiskey pairing was a very interesting dining experience and both were delicious and went well together. We were seated with 2 other very friendly couples and hit it off quickly and had a great time. Chef Kevin is the BEST!!!!!!!! Whiskey was second best !!!!!! The best place in town!!!!!! Awesome dinner at the Cottage. The food was amazing and the whiskey pairing a must. Second time at Nelson Cottage and we will definitely come back. Great special occasion meal with a group of friends. Fun and unique evening of very good food, paired with several whiskies of the High West Distillery. Food, which is a set menu, is served family style. Terry, the host, is entertaining and extremely knowledgeable about the whiskies. We had a special St Patrick’s meal with corned wagyu beef (really good) and a chocolate dessert that was outrageously good. If you like bourbon/rye and good food in a relaxed setting, you will love this.